Shipwreck! Few words so effectively evoke misfortune and drama. But what is a shipwreck? Mariners, and this database, define a shipwreck as an incident where a ship is destroyed or seriously damaged. Usually it is an accident, but sometimes ships are deliberately sunk. 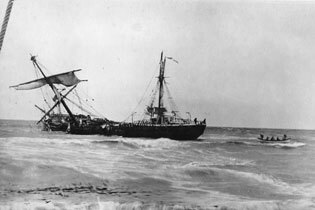 In many cases ships are repaired after a wreck to sail for many years so one ship may have several wrecks.